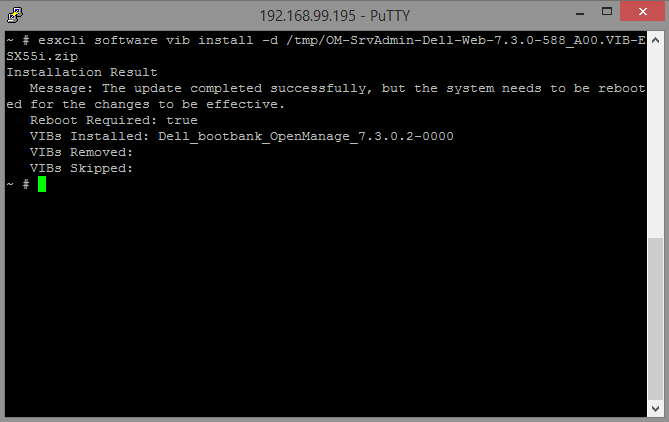 Installing Dell OMSA on a ESXi server allows you to see more detailed information regarding the Dell hardware. It also allows you to perform operations such as specifying hot spares and rebuilding RAID arrays. After you install OMSA on the ESXi server you can install the OMSA web-based GUI on another Windows PC or Server in order to access OMSA. The steps below will get OMSA up and running on VMWare ESXi 5.5. Be sure to download the version of the OMSA Offline Installation Bundle that corresponds to your version of ESXi. Download the OMSA Offline Bundle from the Dell Website. Open and log-in to VMWare vShpere Client. Select the server node in the tree view on the left. Click the Configuration tab along the top. Click the Properties link to the right of Services. 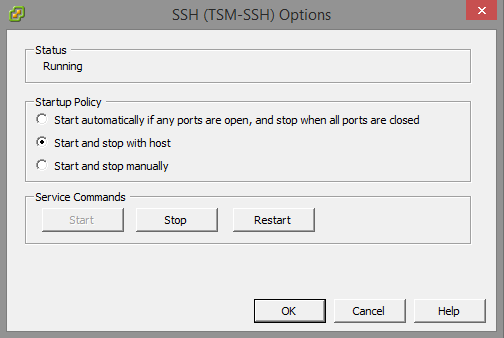 Select SSH in the list and click Options. Under Service Commands click Start. Click New to create a new connection. Enter the host name of the ESXi server, user name and password. (User name is root by default). If this is your first time connecting to this host you’ll see a warning screen about the server’s host key. You can click Yes to continue. 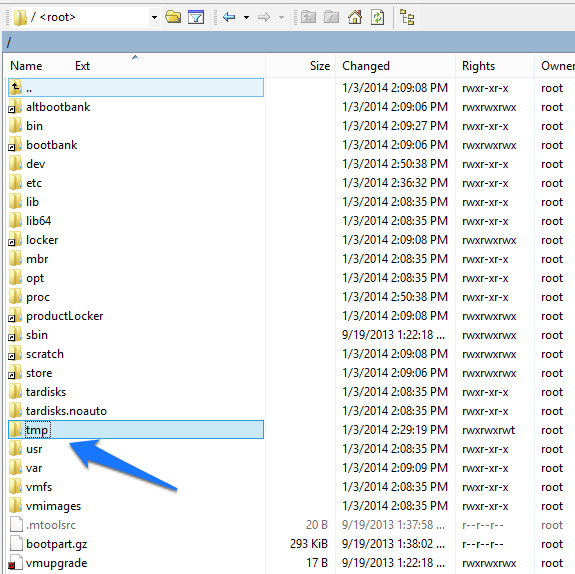 Once connected you’ll see an explorer type view with your local files on the left and the server’s file system on the right. You want to navigate to the /tmp/ folder. Double click tmp to enter the directory. Once located, drag the file to the right pane. When the Copy dialog comes up click Copy. Its now time to install the bundle. To do this you’ll need a SSH client. 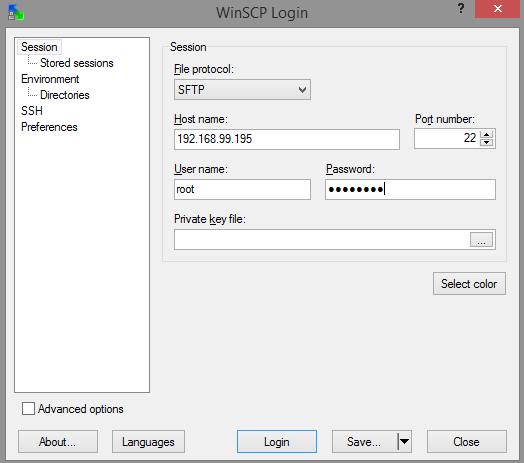 I use Putty on Windows and the command line SSH client on Mac and Linux. I’ll show you how to use Putty below. 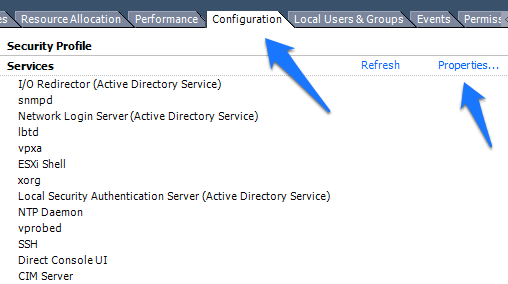 Enter the ESXi server host name and click Open. Again if this is your first time connecting to this host you’ll see a Putty Security Alert dialog box. Click Yes to continue. Enter the user name (root). Make sure to match the file name of the file you actually downloaded since version numbers will change frequently. You can use tab-auto-complete to type in the first few letters such as OM- and then press tab to complete the file name. Reboot the server to complete the installation. If you don’t have any running hosts you’ll be able to restart without being in maintenance mode. If you do have running hosts you’ll need to shut them down and then put the ESXi server into maintenance mode. 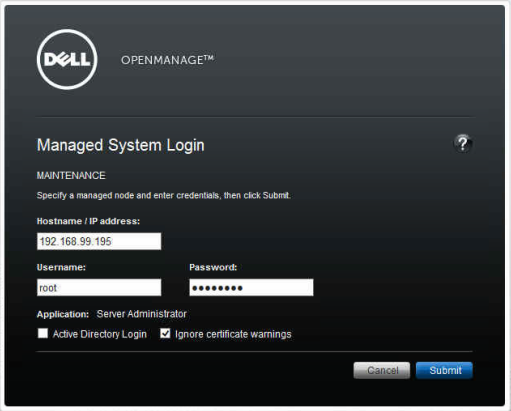 Download the installer for Dell OpenManage Server Administrator Managed Node (Windows),v7.3 to a Windows PC. Run and install the application. The installer will complain about it not being installed on Dell software but you can proceed with the server installation only. Dell OMSA is web-based, relying on a Java back-end so when you double click the icon on your desktop it will open your default browser. Enter the ESXi host, user name and password. Check the box to Ingore certificate warnings. This should allow you to use OpenManage similarly to how you would on a bare-metal install of Windows Server on a Dell system. Are you having an issue logging into the vSphere client or OpenManage? Thanks for your instructions. I was able to use the managed node client successfully at first but after a few hours the managed node is unable to connect and produces a “connection failure” message. This seems to be a common problem but I haven’t found a reasonable solution other then uninstall and reinstall the VIB. Any suggestions? Did you make sure to check the box to Ignore Certification Warnings on the openmanage login screen. If you don’t have a trusted SSL cert for ESXi you’ll need to check that box. Yanick, I am having the same issue. If I put in the correct info it loops back to the login screen. If I put in the wrong info (ip/user/pass) it gives me an error, as expected. New to VMWare CLI and this was exactly what I needed.